BAGUIO CITY – The chairman of the Cordillera Regional Peace and Order Council (RPOC-CAR) strongly condemned the atrocities done by the members of the News Peoples Army (NPA) against government forces in Bauko and Tadian towns in Mountain province that resulted to the untimely demise of two law enforcers and the wounding of nine of their colleagues in separate incidents that trace back to Thursday last week. RPOC-CAR chairman and Mayor Mauricio G. Domogan said that the use of improved explosive device (IED) which is believed to be land mine by the fleeing rebels against the pursuing government forces is a gross violation of prevailing international agreements on hostilities which only shows that the NPA’s operating in the Cordillera are desperate to escape from their pursuers. Domogan also sympathized with the families of the two policemen who were killed in the separate encounters, particularly Patrolman Wilfredo Padawil of Sagada, Mountain Province and Police CPL. Marlon Casil of Kibungan, Benguet who were killed in an encounter last March 28, 2019 in sitio Malabagan, Bagnen Proper, Bauko, Mountain province and the explosion of the land mine between the boundary of Bauko and Tadian towns last April 2, 219, respectively. “We want lasting peace to reign in our region. We do not deserve such atrocities that paints a bad image of the peace and order situation in our region, thus, we call on our brothers and sisters in the communist movement to start going back to the fold of the law for them to live a peaceful life,” Domogan stressed. The local chief executive also wished the wounded policemen speedy recover from the injuries they sustained from the said untoward incidents. 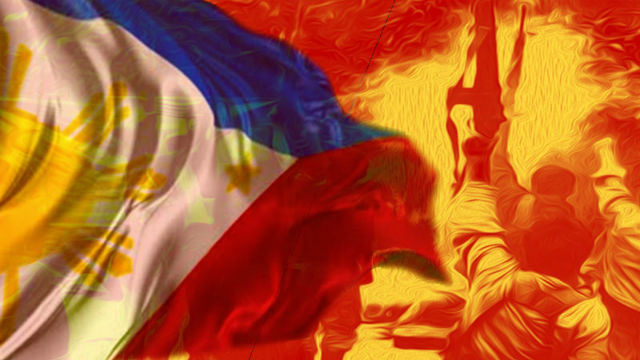 The encounter between the communist rebels and the police personnel on March 28, 2019, was followed by another running gun battle between the same forces in the afternoon of March 31, 2019 when the pursuing government forces were hit by a landmine explosion at the boundary of Bauko and Tadian towns last April 2nd. Domogan pointed out it is unfair on the part of the government to be advocating for peace and reconciliation with the communist rebels if the other party does not have the sincerity to pursue the peace talks, either on a national or local scale, as they continue to do atrocities against the government side which runs counter to their desire to have lasting peace in the country. He urged civilians to immediately report to the concerned authorities the presence of suspicious-looking individuals in their places so that appropriate actions could be taken by the police or military, especially against those who have evil intentions of creating trouble just to ruin his prevailing peace and order in a certain locality.